Read receipts are the most common way of tracking whether the intended recipient of your email has opened (and hopefully read) your email or not. It is a notification that is sent out by the email client as a confirmation. Gmail does not have read receipts. Or at least personal Gmail accounts do not have read receipts. Read receipts are available only for Google Apps for Business, Education, and Government customers. 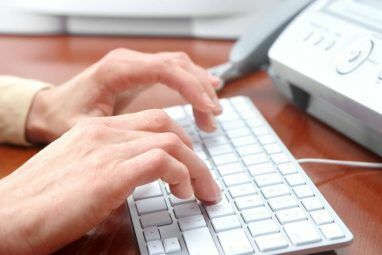 Though read receipts are important in the professional world – it’s good to have proof that the email was received and read – it’s useful for the same reason for home users too. You might send a vital email to a friend alerting him to a change of plans. A read receipt at least lets you know if your friend has read it, or do you need to call him in time. The first workaround involves using a tracking image and embedding it in your outgoing email. Tracking images are hosted image files which can capture mouse-clicks and filter them through backend analytics. You can commonly find them on webpages to monitor page hits and pay-per-clicks, email marketing campaigns, and even spam mails. 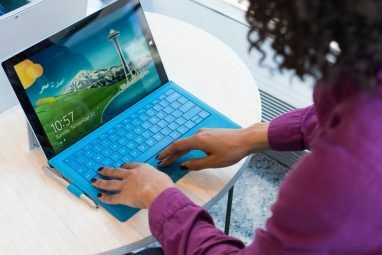 Tracking is quite ubiquitous on the web and like all things there are pros and cons on it, but right now that’s beyond the scope of this article. 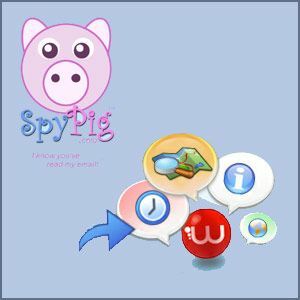 [NO LONGER WORKS] SpyPig is a free email tracking service which uses an embedded tracking image and sends you a notification by email when the recipient opens your message. It is non-intrusive as you just have to give your email address to the app. The process has five steps – you enter your email ID and the message title. Choose from the five images available to create the tracking image. Next, you have to copy & paste the SpyPig image into your email message and send out the email. WhoReadMe is another email tracking web app. It takes a similar approach of embedding a transparent tracking image with a unique ID inside your email. You have to register with the site for free. Then, you can directly send the email from your own email client by adding suffix “.whoreadme.com” to your recipient email address. E.g: johnsmith@gmail.com.whoreadme.com. The tracking image is loaded from the web apps server and a notification email is sent to the sender. The app also has its own compose window, but I don’t think you will be using that too often. WhoReadMe also tells you when attachments are downloaded. Other extras include information on recipient location, browser and OS information; the duration recipient takes to read your email and more. WhoReadMe allows you to send 20 emails per day and receive maximum 50 notifications (via email, Twitter, or Boxcar) every day. The imperfect workaround to track emails using a short URL involves using short URLs instead of long ones in your email. URL tracking is exploited to the hilt by email campaigns to monitor which links are getting clicked. You can use them for the same purpose in your personal emails though there are no guarantees that the recipient will click the short link. Alternatively, you can include a short message and request the person to click the link as a confirmation of having read the email. Of the three solutions, I would lean towards a mix of SpyPig and link shorteners in my email. I personally think its bad email etiquette to request a read receipt for every mail. It should be used sparingly for only the important ones. Do you think that email tracking is important for personal mails too? Do you use it often in MS Outlook or in your business mails? Tell us your opinion and if you know of any other trick for tracking emails. I think this is absolutely necessary whether it be used for private or business sector! I will look into this further! There's also free Chrome extension for mailtracking called Deskun. Thanks for the suggestion. Looks like a complete suite for customer support. I'm always amazed at the breadth and depth of topics that are covered by MUO! I Googled this and the third return was this article. The first two were ads so, technically, I guess that makes yours the first. I was searching in google to about how to trace my e-mail recepient whether he was viewed my mail or not. I come across here and it helped me a lot. can you tell which one is better to use. spypig or whoreadme ? I would plonk for Whoreadme. Beware if the tracking service requires you cc your email through their email space. You're essentially revealing yourself, your recipients, and your email contents to the tracking service provider. You need to be able to trust them totally. Other tracking service such as Tailmail (http://www.mobileshortcut.com/TAILMAIL) allows you total anonymity throughout the process. Make a wise choice and avoid overkill. Advocates of ubiquitous traceability and supervision would do well to keep in mind that the whole human civilization is built on the foundation of Not Quite Telling The Truth whenever not convenient (also known as "white lies" on small scale and "diplomacy" on large scale). Used in moderation, it's the oil that prevents constant friction (and buildup of "heat") in everyday life. By no means advocating lying through one's nose all the time, a world of having to tell the truth all the time would be a non-functional nightmare not a utopia, and admitting having seen a mail or not at your discretion is one of these liberties I'm not willing to give up. Consequently I've had my mail client set on "don't send receipt" on principle since the days it was connecting through a modem, and I only load images in mail if it seems justified in the context - my white-list is empty. Mail is by definition (and tradition) a non-acknowledged way to communicate (unless explicitly agreed on / requested); when one wants to have certainty of a notification, one picks up a phone (well, or an IM client, if you insist). This can be useful to know whether our friends,relatives bother about our mails.If one comes to know that our relatives,friends doesn't care about our mails,then we can save your precious time and bandwidth. Ha..ha...so true. That's a very useful thought. Bear in mind that using services like whoreadme (which I hilariously mis-read as Whore And Me at first...) may in some cases cause your email to marked as spam or possibly completely undelivered as they 'forward' your original email and therfore kind of 'spoof' your email address. This spoofing may break any email authentication in place on your email domain (certainly SPF if you've not manually included them, possibly DKIM and therefore DMARC/ADSP). 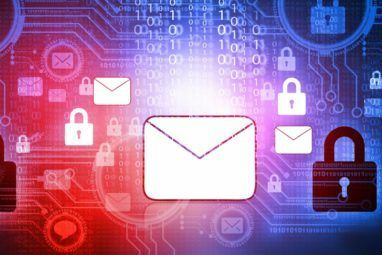 Do a trial tun first by sending an email to another account to which you have access in order to ensure the email is not flagged as spam or refused delivery. Gmail now uses full DMARC checking and so silently is rejecting emails without ever notifying the recipient (which is a good thing - all mail providers should be doing this now). Thanks johann for providing such useful information.. Thanks Johann for pointing this out. It's always wise to do a precautionary trial run.